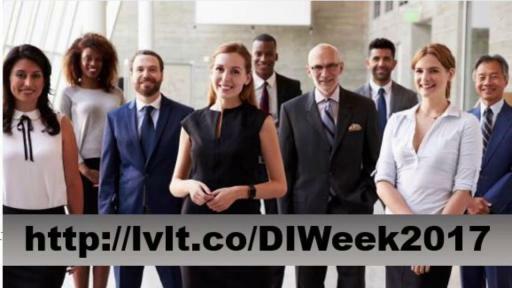 BROOMFIELD, Colo., May 11, 2017 – In anticipation of the United Nations’ World Day for Cultural Diversity for Dialogue and Development, Level 3 Communications (NYSE: LVLT) is hosting its own weeklong celebration recognizing the importance of diversity and inclusion in the workplace. 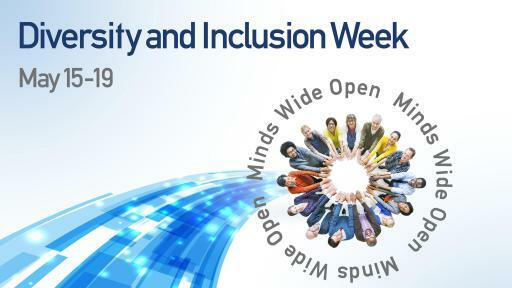 Level 3’s Diversity and Inclusion Week is set to the theme of “Minds Wide Open” and runs May 15-19. The week will feature a variety of speakers, stories highlighting employee diversity and how that diversity has affected employees for the better, and the distribution of Level 3’s second annual Diversity and Inclusion Report. 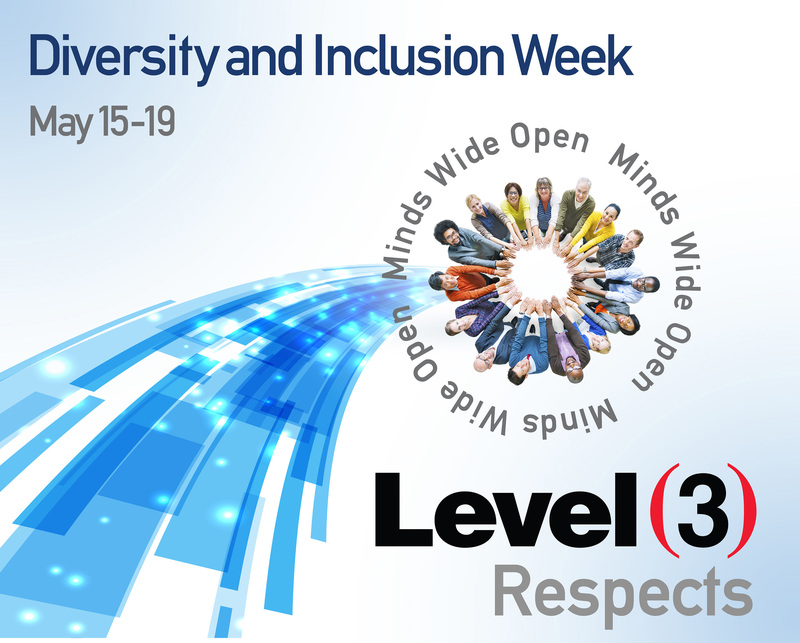 Level 3’s Diversity and Inclusion Week is a precursor to the United Nations’ World Day for Cultural Diversity for Dialogue and Development, which takes place Sunday, May 21. “Gender Identity and Transgender Diversity in the Workplace,” delivered by Ryan Sallans, a world-renowned public speaker, diversity trainer, consultant, and author specializing in health care, campus inclusion and workplace issues impacting the transgender community, and the Lesbian, Gay, Bisexual, Transgender, and Queer/Questioning (LGBTQ) community. “Veteran Panel Discussion,” sponsored by Level 3’s Veterans Employee Resource Group (VERG) that will feature former military personnel discussing their experiences when joining the service, what they learned while there, issues they faced when they left and the transition to a corporate environment. “Unconscious (or Implicit) Bias Discussion,” a workshop aimed at helping Level 3 employees understand their personal biases that can have negative consequences in the workplace. 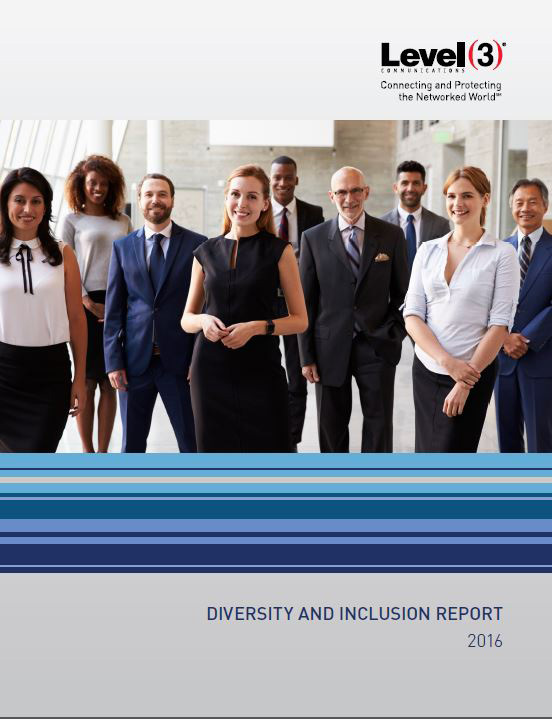 Level 3 released its second annual Diversity and Inclusion Report, which provides an inside look at the company’s efforts to advance diversity and inclusion principles. Level 3 employs nearly 13,000 employees across six continents. More than 24 percent of Level 3 employees take part in Employee Resource Groups, where members can connect and share with their colleagues who may have similar interests and challenges. Groups include: Women, Veterans, Millennial Minds, LGBT, Latinos, Friends (employees with disabilities/illness/chronic pain), Global Community, Predictive Analytics and Decision Science and People Managers. Watch Mary Beth McGrath, SVP of Global Talent Management, discuss Level 3’s Diversity and Inclusion Week. Level 3 Communications, Inc. (NYSE: LVLT) is a Fortune 500 company that provides local, national and global communications services to enterprise, government and carrier customers. 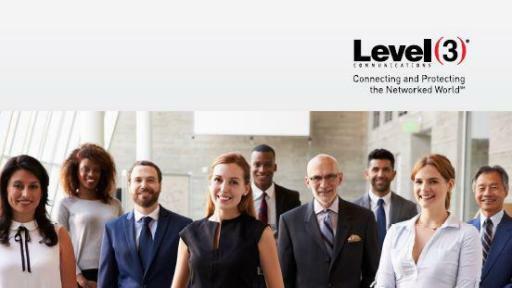 Level 3’s comprehensive portfolio of secure, managed solutions includes fiber and infrastructure solutions; IP-based voice and data communications; wide-area Ethernet services; video and content distribution; data center and cloud-based solutions. Level 3 serves customers in more than 500 markets in over 60 countries across a global services platform anchored by owned fiber networks on three continents and connected by extensive undersea facilities. For more information, please visit www.level3.com or get to know us on Twitter, Facebook and LinkedIn. © Level 3 Communications, LLC. All Rights Reserved. Level 3, Vyvx, Level 3 Communications, Level (3) and the Level 3 Logo are either registered service marks or service marks of Level 3 Communications, LLC and/or one of its Affiliates in the United States and elsewhere. Any other service names, product names, company names or logos included herein are the trademarks or service marks of their respective owners. Level 3 services are provided by subsidiaries of Level 3 Communications, Inc. Some statements made in this press release are forward-looking in nature and are based on management’s current expectations or beliefs. These forward-looking statements are not a guarantee of performance and are subject to a number of uncertainties and other factors, many of which are outside Level 3’s control, which could cause actual events to differ materially from those expressed or implied by the statements. Important factors that could prevent Level 3 from achieving its stated goals include, but are not limited to, the company’s ability to: increase revenue from its services to realize its targets for financial and operating performance; develop and maintain effective business support systems; manage system and network failures or disruptions; avert the breach of its network and computer system security measures; develop new services that meet customer demands and generate acceptable margins; manage the future expansion or adaptation of its network to remain competitive; defend intellectual property and proprietary rights; manage risks associated with continued uncertainty in the global economy; manage continued or accelerated decreases in market pricing for communications services; obtain capacity for its network from other providers and interconnect its network with other networks on favorable terms; successfully integrate future acquisitions; effectively manage political, legal, regulatory, foreign currency and other risks it is exposed to due to its substantial international operations; mitigate its exposure to contingent liabilities; and meet all of the terms and conditions of its debt obligations. Additional information concerning these and other important factors can be found within Level 3’s filings with the Securities and Exchange Commission. Statements in this press release should be evaluated in light of these important factors. Level 3 is under no obligation to, and expressly disclaims any such obligation to, update or alter its forward-looking statements, whether as a result of new information, future events, or otherwise.